Android Websites these days ask for your permission to display notifications straight on your browser like Google Chrome for Android. Not many people would want to give sites authorization to allow them to show notifications at random intervals. But have you, at times, accidentally clicked the "Yes" option? Clicking yes means you will receive notifications at different times of the day. 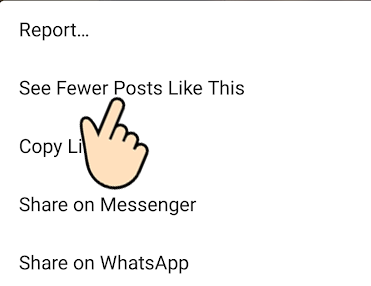 There might be an off switch to disable notifications completely from Chrome but you just want to remove that particular website from the list. Notifications are basically sent when the sites have new content to share. It is a good thing that this permission can be easily managed in Google Chrome (and other browsers as well). 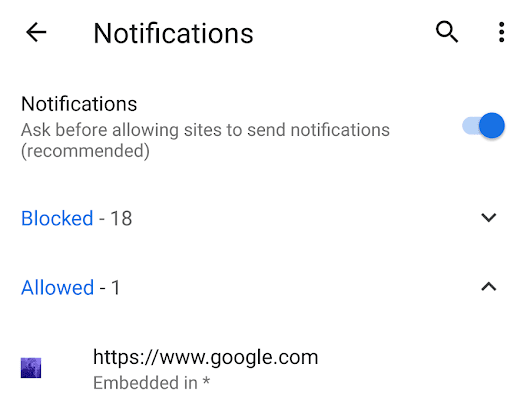 This tutorial deals with disabling and managing websites from displaying notifications after you have given permission to them to do so in Google Chrome browser. Note: Pressing on Clear & Reset will remove the site from the Allowed list. It will not add it to the Blocked list. When you clear and reset, you might end up visiting the web page again and it might again ask you for the permission to show notifications. You can block it from that prompt. Also, removing any website from the Blocked list will give it the permission to display the prompt again. If you want to block it straight away, navigate to Notifications and drag the On slider to Off. It will add it to the blocked list. It means it won't show you the prompt to display notifications again. There is also a top-level Notifications option in ⋮ > Settings > Site settings > Notifications. Turning it off will disable all websites from prompting you for the permission. Navigate to chrome://settings/content/notifications in your address bar in Google Chrome. Manage the Block and Allow list there. You can also turn it off completely using the Ask before sending slider. Android The thing about Facebook search is that it stores your search history and activity just like Instagram does. The history is used to show us better results when we search again. However, we have control over those saved searches. We can delete them all or remove particular searches one by one. It should be noted that one's search history is private and is not shared with anyone. It is only for you. However, we would want some item from Facebook's search history to be removed if not all. Tapping on the search box will display our recent searches and it might have something that we want to hide. 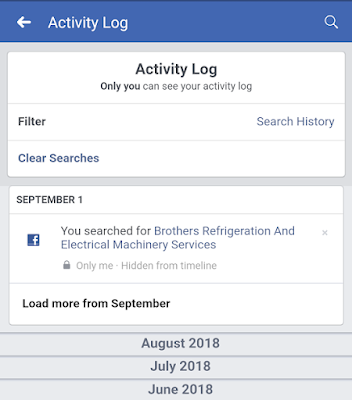 It is possible to remove and clear the search history both in using the Facebook app or from the website. Tap on the search box on the top. Click Edit next to Recent Searches. Top clear everything: Tap on Clear Searches and Confirm. To clear individual searches, tap the X next to them and Confirm. Note: There will be options to navigate through the categorically stored search results. Click on edit which is next to Recent Searches. Tap on Clear searches and confirm to clear every search queries. Navigate and browse through individual searches and press the Edit button > Delete and confirm to clear it. 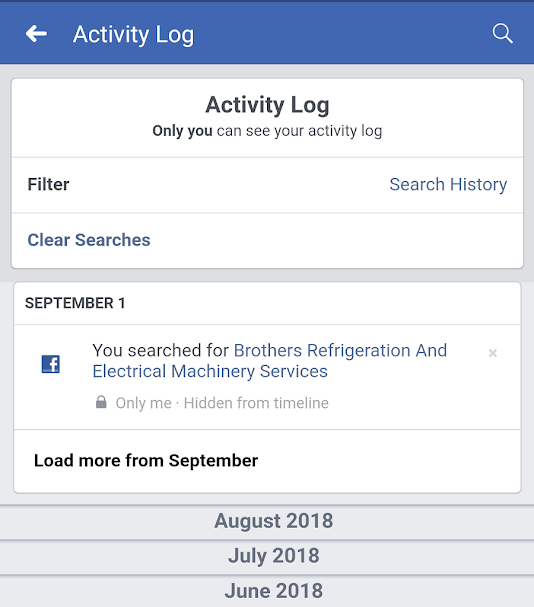 Note: The process to search from the mobile version of Facebook's official website is also very similar. The search box is accessed by pressing the search icon. After that, every step is the same to clear individual searches or to clear everything. 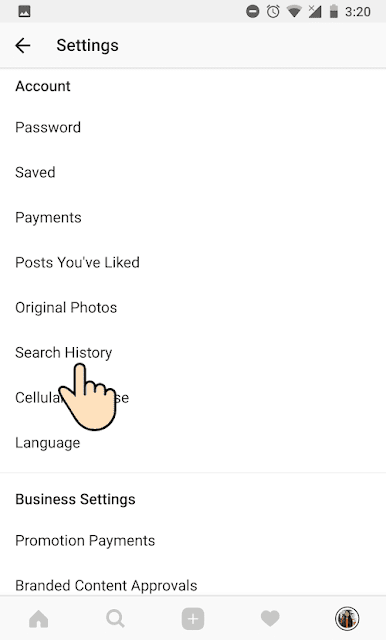 How To's If you want to clear your Instagram's Search history in the Android app then all you have to do is go to the settings and hit Clear search history under the Search History settings. That way you will clear the history of all the searches that you made through your app. Removing it will certainly help you hide some embarrassing, unwanted or private searches. Apps In this digital age of smartphones and tablets, Android and iPhone, we all have a smart device—possibly in our pockets all the time. We're staring down at it from time to time. We check our notifications, messages and apps all the time. People unlock their phones and check their screen for what's new and what's happening. It might take a lot of your daily time and the habit needs to be put in check. 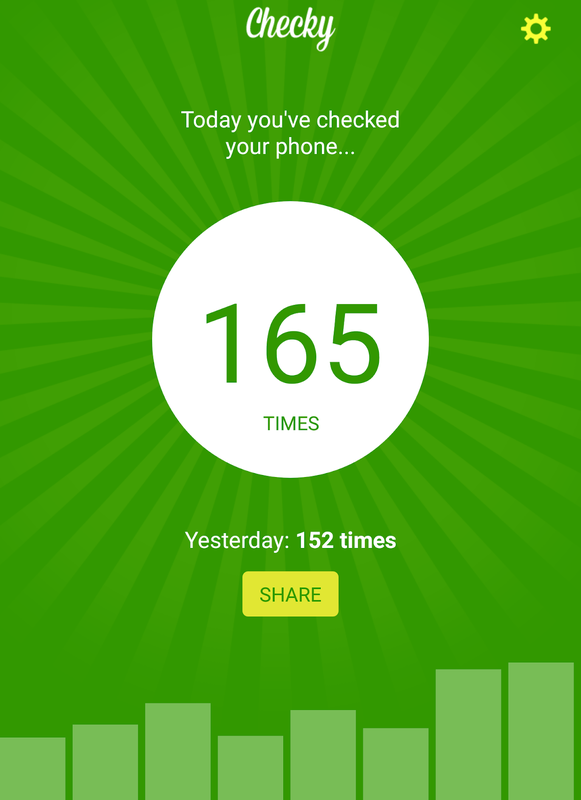 The first thing that you can do to put your phone addiction in check is to keep tabs on it. You need to find out how many times you check your phone. And ironically, there's an app for that. It's called Checky. It's available for free at the Play Store and the iTunes store. So, it is there for Android as well as Apple users. Well, just like it's description, it tracks your phone habits. That means, it counts every time you unlock your phone and stare at the screen. Actually, it just counts the unlocks but that's when we get down to business, staring at our phone and wasting away our productive time in finding what others are up to (Thanks Social Media!). There's also a feature in the app to notify you everyday at 12pm. The notification will show you how many times you checked your phone yesterday. You can share this stat on social network as well. The app also generates a nice chart with the statistics of all the unlocks for the past week. I know the app is a simple one with just one feature attached with it. But it is useful if you are trying to get your phone habits down. If you want to see a sample of how it looks like then here's a screenshot from my phone. You can see that I have unlocked and checked my phone 165 times today. The chart in the bottom displays the history and it's not looking so bright for me. I check my phone more than 100 times a day and I am sure that it's not good. Let me see if I can keep my phone habits in check. It can be a challenge choosing from a large selection of smartphones available today and trying to figure out the one that is best for you can be another big hassle. Your smartphone is most likely to be the most important gadget in your life, and you’ll probably be spending a few more years with the one you’ve purchased recently. 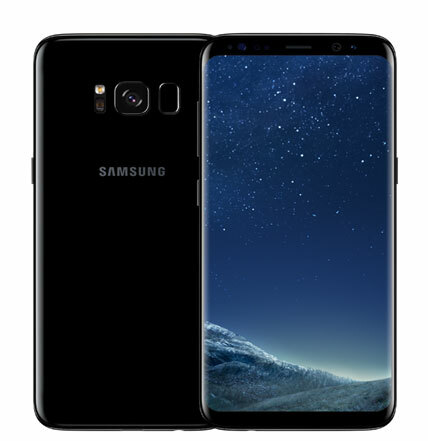 Right now, Samsung’s Galaxy S8 Plus might be the best option for you as it has the best display on any smartphone right now, a head-turning premium design, top-of-the-line camera, reliable battery life and industry-leading performance. Starting from a market standard price tag of $850, Samsung’s latest flagship offers an innovative new design for a smartphone by stripping away the bezels around its 6.2-inch infinity display. That massive 18.5:9 screen ratio enhances the entire viewing experience while retaining those pitch-perfect colors and sharpness we’ve come to expect from Samsung in recent times. It’s no surprise that even Apple is purchasing the screens for their new iPhone 8 from Samsung. Oh, and it’s bright, reaching a blinding 912cd/m2 on auto brightness. The Samsung Galaxy S8+ features a powerful 1.9GHz octa-core Samsung Exynos 8895 processor backed by 4GB of RAM. The phone packs 64GB of internal storage that can be expanded up to 256GB via micro SD card. As far as the cameras are concerned, the Samsung Galaxy S8+ packs a 12-megapixel primary camera and an 8-megapixel front shooter for super-sharp selfies. S8+’s camera app is one of the best available and the camera app features a new floating shutter button, whose location can be adjusted on the screen so that taking selfies and one-handed photos is much easier on its large display. The Samsung Galaxy S8+ runs Android 7.0 and is powered by a 3500mAh non-removable battery. It measures 159.50 x 73.40 x 8.10 (height x width x thickness) and weigh 173.00 grams. The S8+ is water resistant to depths of 1.5m for 30 minutes with an IP68 rating, and Corning’s Gorilla Glass 5, which should hopefully make both front and back more scratch and shatter resistant. It’s a stellar performer that aptly blends beauty and horsepower. Couple that with a surprisingly comfortable, narrow body and the Galaxy S8 Plus offers great longevity in a package that won’t make your hands sore. S8 Plus is still one of the most impressive packages you’ve ever seen. If you're looking for a well-balanced flagship with a great display and a camera then I'd say this one is worth looking into. 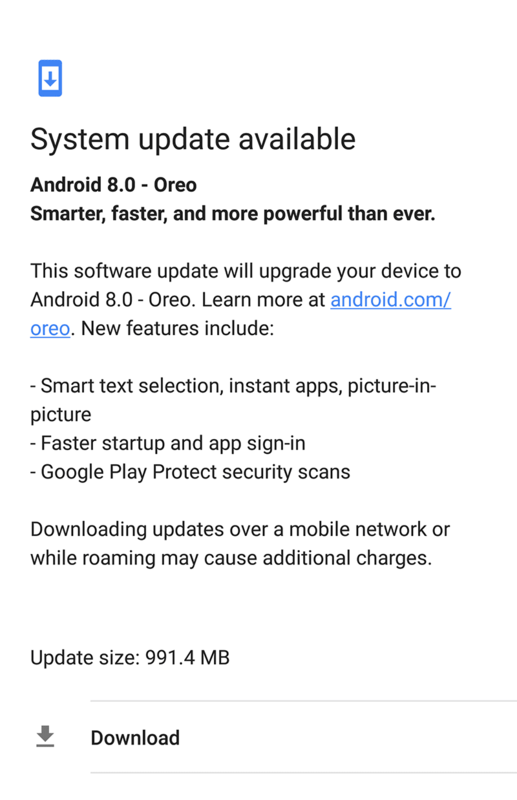 How To's The latest installment of Android which is Android O or Oreo with the version number 8.0.0 has arrived on the Nexus 6P. The update procedure is quite simple. All you have to do is download the update file which appears on your notification. Once the download is complete, apply the update and the phone will restart and do the thing. The whole update procedure only takes a short time depending on your internet connection. 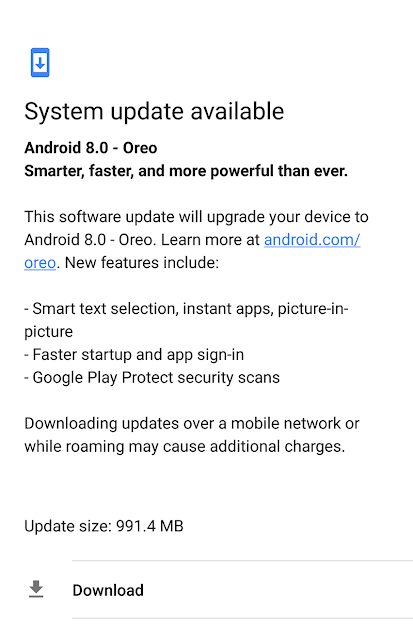 This update procedure is for the general public who prefer not to flash their device with the firmware. The update is sent straight from Google and you do not lose any files, user accounts, apps and their data. It's quite simple and here are the steps with screenshots. First, you get this notification that a System Update is Available. Click on it and you end up with the following screen. From the screen, you can figure out that the update size is 991.4 MB and you hit the Download button to begin the download. A progress bar will notify you of the progress. 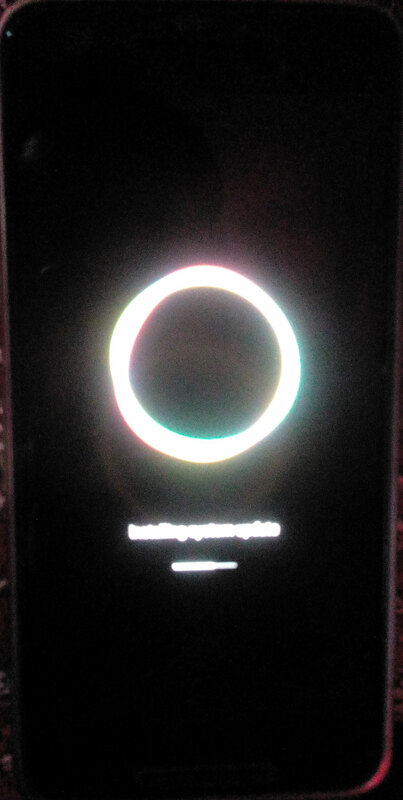 After the download completes, you end up with this screen. Obviously, you hit the Restart now to install. The system prepares for the update. It takes a short amount of time. After it is 100%, the phone restarts and you get the next screen. It's just doing its thing, copying files and all. The phone will start after the update process completes. 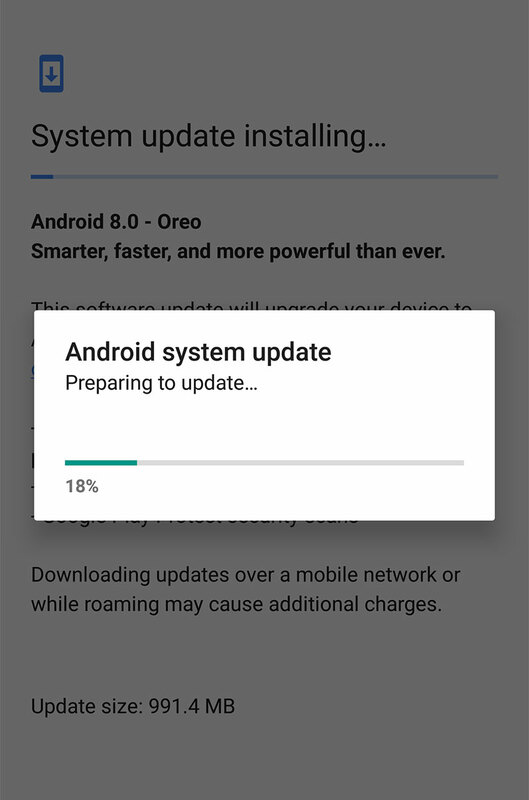 You go through the boot animation and you will already have Android Oreo. You will see the screen above in the notifications. This is the final step. After all the stages complete successfully, you will now enjoy the new Android in your Nexus 6P phone. New is always great right? Soon, there will be more posts related to Android O or Oreo on this blog. For now, enjoy this short video where we discover an Octopus hiding behind your Android O installation. Android Emulation In our quest to show you the different ways to install Android in your personal computer, we have come across this quick but rather old emulator for Android. The emulator is titled Windroy and it is free but the development seems to have been discontinued as the official website seems to be down. However, the software can be downloaded from several locations. Here’s the top link to download Windroy. The app seems to be quite old so use with precaution. To install this emulator from the link above, you are asked to log into the website softonic.com. Use your Google Plus or Facebook account for quick registration and login. After that, the installer file will download and it will be saved as windroy_20140113.exe in your default downloads folder. From the file name itself, we can tell that it is a rather old version from 2014. Use the installer to install the emulator like any other program in your system. Once the slider shows that the installation is complete, run the newly installed program from your start menu. Again, you will have to register in Windroy and provide your name and email. Use a secondary email and contact information if you are nervous about privacy and receiving spam. After the registration completes, it will open up the Android emulator in full screen. Looking at the settings, you will find that it comes with Android 4.0.3 which is an old Android version. But it boots up quickly and runs faster when compared to the other bloatware infused emulators. This one has a minimum of those. The saddest part about this dying emulator is that it doesn’t come with the Play Store. That means that you will have to look into alternatives to the Google Play Store. There are a ton of those out there. You can also install the applications by downloading apk files directly. Use the internal browser to install such external applications. But before you are allowed to install apps make sure that you enable the Unknown Sources option accessible from Settings > Personal > Security. After that, I would search for the ‘application name apk’ to find any app using the in-built browser. For example: whatsapp.apk, f-droid.apk. Be wary of the fact that such apk files are not always secure. You will be able to run most Android applications in Windows using this emulator. 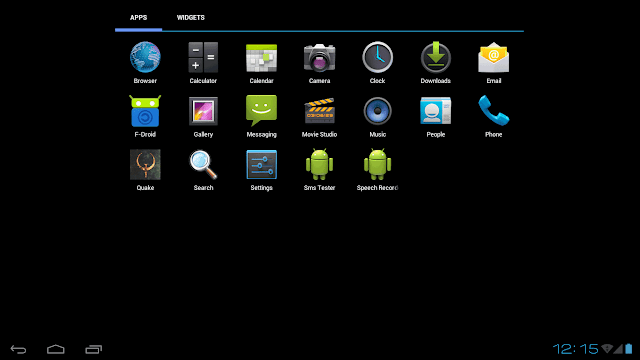 The layout is a bit old as it comes with Android Ice Cream Sandwich. You can install launchers to give it a modern look. The app support is average as you might run into errors with modern applications. Overall, Windroy is not the greatest emulator. The only advantage that it has is that it is fast and doesn’t have bloatware and ads or eat up your system resources. 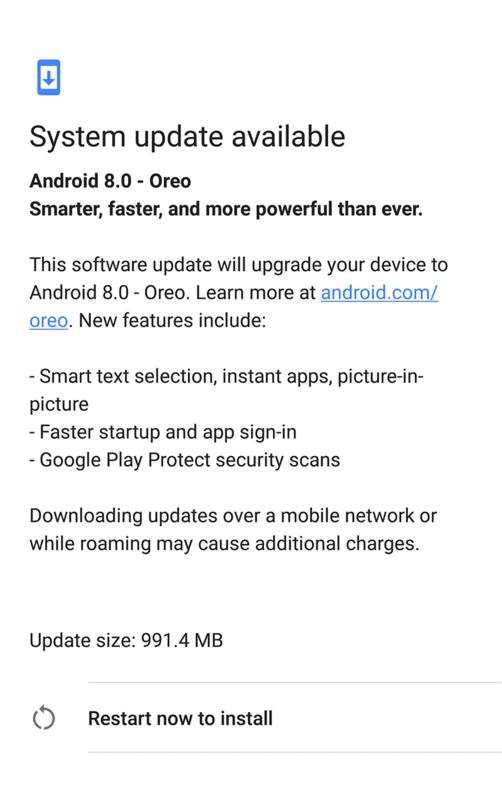 But there are many drawbacks like the fact that it comes with the old Android 4.0.3, no Play Store, and no support or upgrades in the way (it has already been discontinued by the developer, it seems). Use it with precaution as old software aren’t secure. There are many alternatives to it out there. Apps If you are looking to access media files (audio and video) stored on your Android phone from your computer, then you can use an app on your smartphone (BubbleUPnP) and a simple yet popular media player (VLC) on your computer. 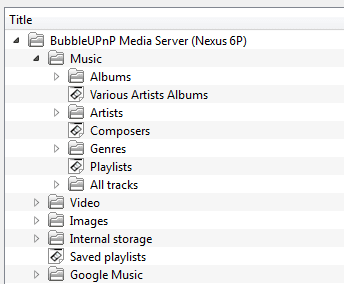 BubbleUPnP will broadcast your music files using UPnP protocol and VLC’s Local Network feature will access the stream via Universal Plug'n'Play. Install BubbleUPnP for DLNA/Chromecast on your Android device: It has a lot of features like accessing media from UPnP/DLNA servers, local storage on your phone, cloud storage like Google Drive, music providers like Tidal and Google Music. It also has the capability to broadcast using UPnP/DLNA protocols. Install VLC Media Player on your computer: One of the most popular desktop and laptop media players that is also available for smartphones. It does a lot more than just play media but we’re going to access media from your phone using VLC’s inbuilt UPnP stream feature. Now, that you have those installed, it’s an easy piece to access media stored on your phone from your laptop using VLC. First of all, run BubbleUPnP on your phone. Give it permission to access your locally stored media. Switch to your laptop. Open VLC and now, all you have to do is navigate to View > Playlists in VLC. There, under Local Network click on Universal Plug'n'Play. In a couple of seconds, you will see BubbleUPnP Media Server listed there along with the name of your phone. It takes a while for VLC to discover and list all the media that are present in your phone. So, wait a few minutes and you will see folders and sub-folders listed there. They group your music and video according to where they are stored and even streaming media servers like Google Music is listed. Browse through it and double click to play instantly. You can also add and create playlists. AirPlay/DLNA Receive (LITE) by Waxrain Tech. developers If you are trying to integrate admob advertisements, then it is wise to test it first. During development, it is recommended that you avoid false ad impressions as well as clicks. For that purpose, it is widely suggested that you just use test advertisements which displays a placeholder instead of a live advertisement. To get such test ads, you need to pass your hashed device ID to to AdRequest.Builder.addTestDevice(). You need to find the unique hashed device id to add it to your code. The simplest way to find it in Android Studio is to look at the logcat in Android Monitor. Connect your test device with drivers installed, Developer Options and USB debugging enabled. In the bottom of Android Studio, click on Android Monitor and make sure the tab logcat is active. You will see a lot of messages. Type addTestDevice in the search field to filter the text. You will find your unique hashed device id in the results. If you cannot find it using the logcat then you can use an app that displays the same device id. Here is the link to the application in Google’s Play Store. I hope that helps you out in testing your advertisements and monetizing your application.